What’s that? When chef Sean Mendes was young, his father took him to an S.C. Department of Natural Resources fishing fair on James Island, ostensibly with the idea of encouraging him to pick up a pole. But Mendes was most impressed with the cooking on display, and was particularly struck by a shrimp snack that he reinterpreted for his Folly Road restaurant. 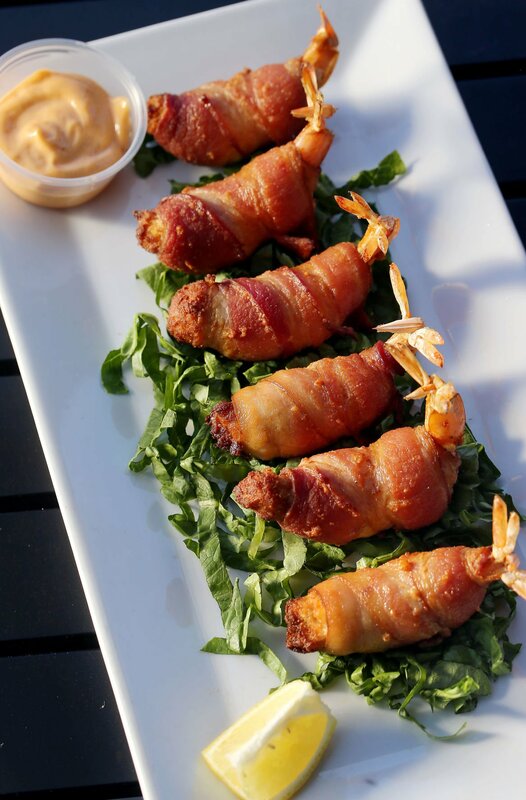 The butterflied, stuffed, bundled and deep-fried shrimp are one of Blues Cajun Kitchen’s top-selling appetizers. Why? “I really, really, really love those shrimp,” says Canizales, who soon won’t have to travel quite as far to experience them: Mendes and his wife, Cillie, this summer are opening Pluff Mudd Seafood Shack in the Johns Island restaurant space last occupied by JB’s Smokeshack. Canizales recommends not stinting on the peppery Voodoo sauce served with the starter. “It’s so good with the crab,” she says. Where is it? 815 Folly Road. Blues Cajun Kitchen is open 11 a.m.-10 p.m. Monday-Thursday and 11 a.m.-11 p.m. Saturday-Sunday. For more information, call 843-999-1050, or visit bluescajunkitchen.com.